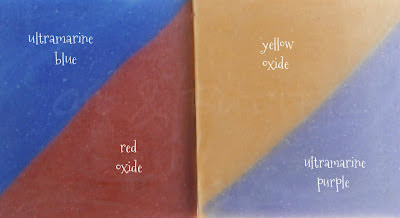 Today I did something I should have done a long time ago...I experimented with the colorants I had on hand to see what they would do in cold process soap. It sounds simple enough, but when you add in the wild-card factor of the discoloration of a fragrance oil, it's a very good idea to know what the true colors of your colorants are in CP. I used oxides, ultramarines and a couple of liquid colors I had on hand. As a side note, all of these soaps were made with CPOP (cold process oven process) and went through the gel stage. These colors were fairly predictable. I mixed the powders with distilled water. I also wanted to do samples of these colors mixed with titanium dioxide, but I didn't have enough containers. 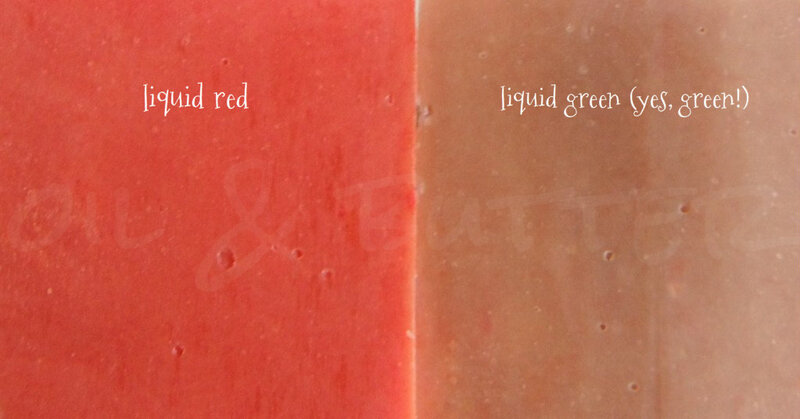 I believe these are meant more for melt and pour soap, but I wanted to see how they would react in cold process. The red stayed pretty much red during the cold process. 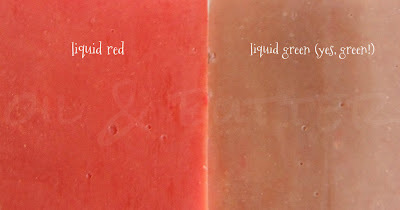 The green colorant changed to a shade of light olive green when first mixed with the raw soap, then as it went through gel it turned almost as red as the red color and then finally settled on a nice salmon color once it cooled. I also did a sample of pink mica and purple mica mixed with distilled water. I didn't take a picture of them, however the pink mica stayed pink, but the purple mica instantly turned pink in the raw soap as well. 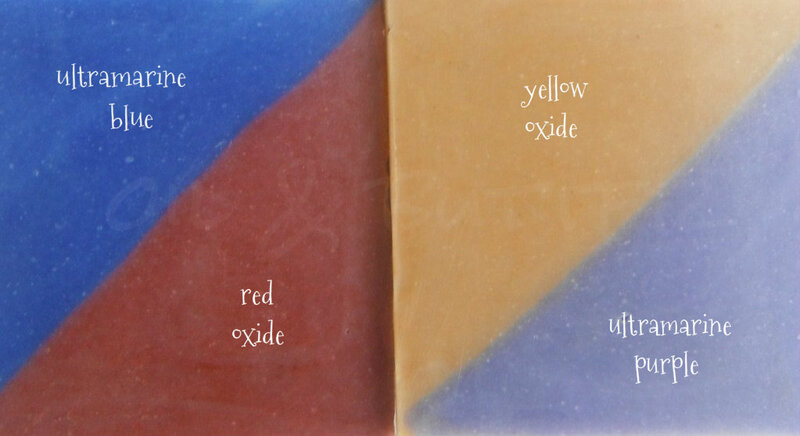 After going through gelling they were almost identical in color and very similar to the red oxide, perhaps just a shade lighter and more dusty. So, what did I do with the leftover colored soap? 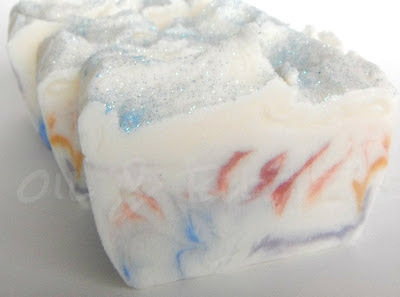 The soap was at a really thick trace by the time I got it into the mold; I had to spoon in the colors and swirl with a chopstick to get any blending done. I think it turned out really pretty, but I don't think it's something I could replicate very easily!